[Updated] Voter turnout has been brisk on Election Day 2018, despite a steady rain that began falling late in the morning. Voter turnout at the polls as of 7:45 p.m. These numbers do not include absentee ballots, or Election Day registration. According to the registrar’s office, about 500 people registered on Election Day. Registrar of Voters Beth Kyle provided updated tallies on voter participation, and as of 3 p.m., 19,107 had gone to the polls in West Hartford. That number represents 47.1 percent of the 40,593 registered voters. 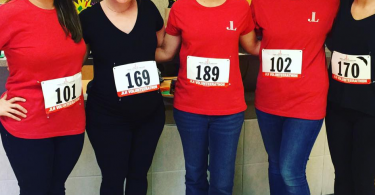 Absentee ballots and Election Day registrants are not included in that number. The highest turnout thus far – in terms of numbers and percentage of voters – is at Braeburn. 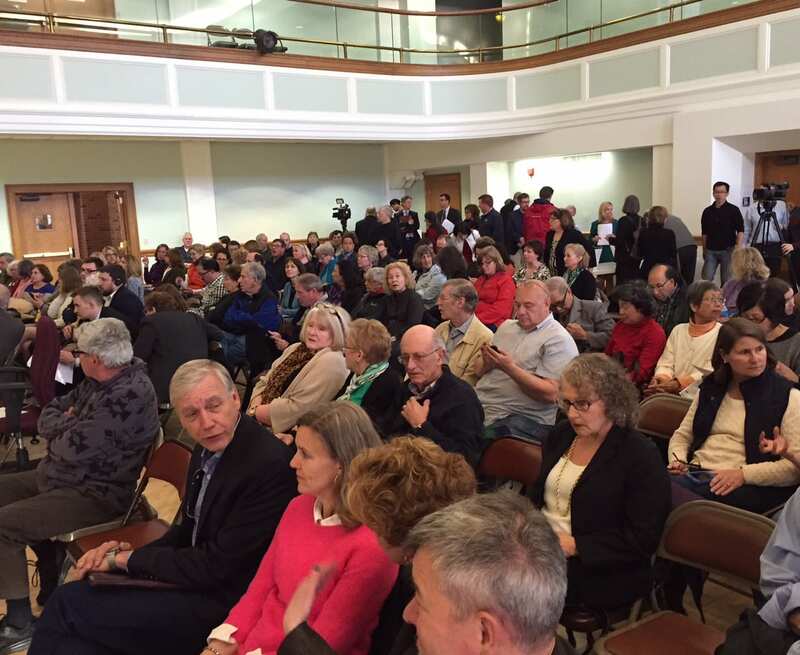 As of 3 p.m., 2,758 of 5,123 had voted at the polls, representing 53.8 percent. The next highest number of actual voters is at Bristow, where 2,427 (49.3 percent) cast their vote as of 3 p.m. At Sedgwick, 51.7 percent of registered voters had voted (2,096). 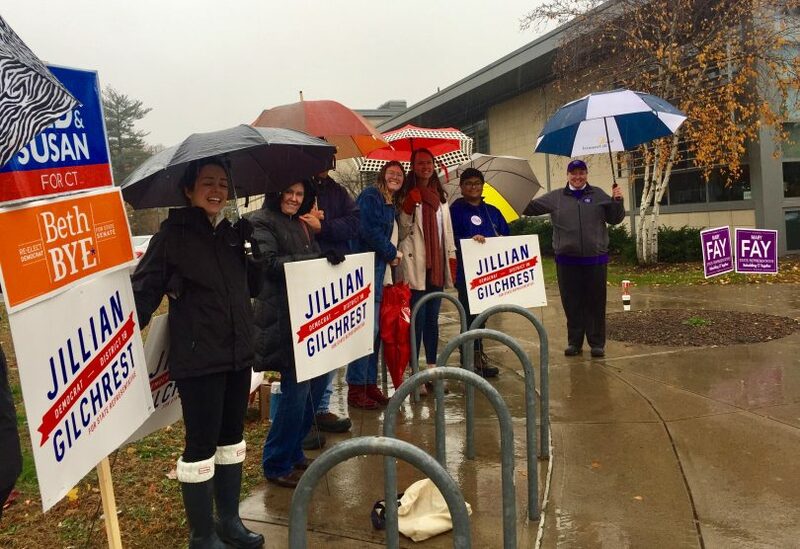 Candidates from both major parties and campaign volunteers were stationed the required 75 feet from the door of each of West Hartford’s nine polling places Tuesday, greeting voters as they headed inside to fill out their ballots. 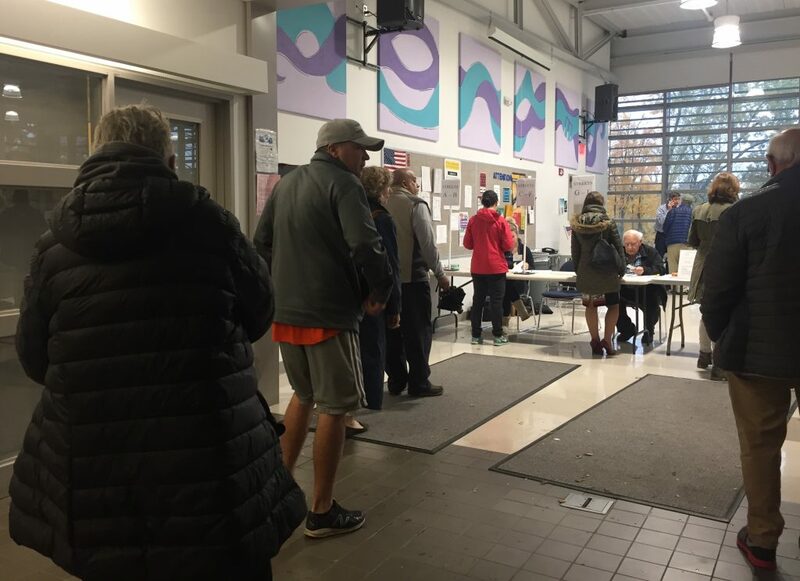 Despite the early morning drizzle and a cold, steady rain that began falling by 11 a.m., activity was brisk at all of West Hartford’s polling places, and according to figures provided by Republican Registrar Beth Kyle, as of 12:20 p.m., a total of 15,559 of the town’s 40,953 registered voters. 38.3 percent, had cast their ballots at the polls. Those figures do not include absentee ballots or Election Day registrants. 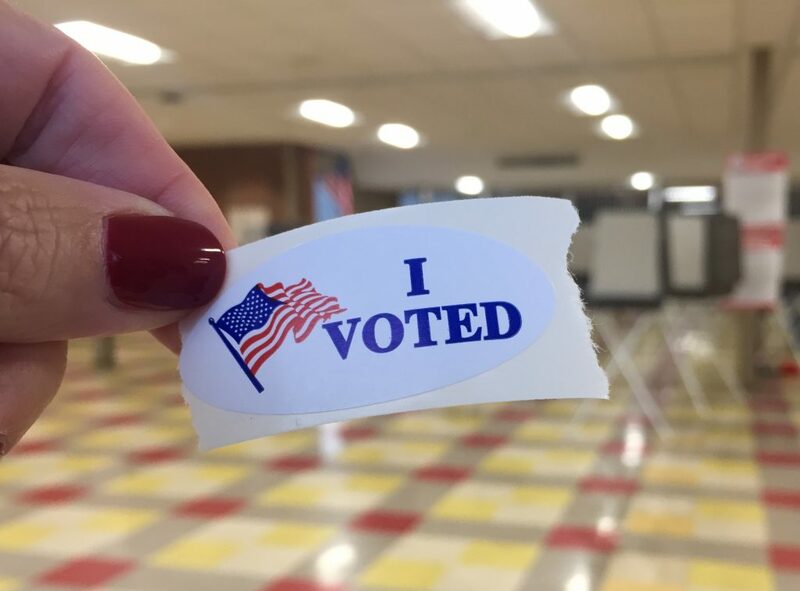 The highest number of voters (2,230, which is 43.5 percent) had turnout out at Braeburn, and 1,984 (40.3 percent) had voted at Bristow as of 12:20 p.m.
“It’s been crazy busy since 6 a.m.,” said Laura Noble, the assistant registrar at Conard High School. 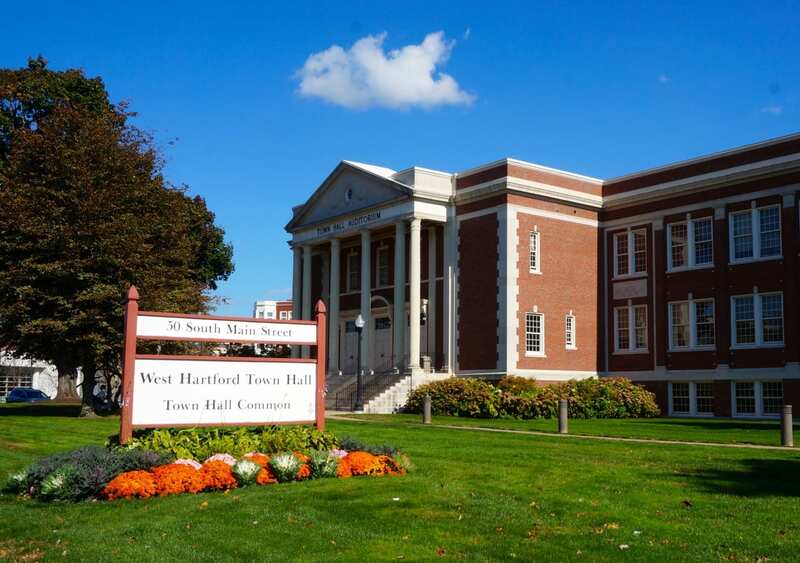 No problems had been reported at any of West Hartford’s polling places. Challengers are not expected to unseat Democratic Sen. Chris Murphy or U.S. Rep. John Larson, but the governor, lieutenant governor, attorney general, and other state offices are up for grabs in this year’s election, and many of the races are close with the stakes high for both major parties. Supporters for all candidates have spent the past weeks trying to encourage voter turnout. 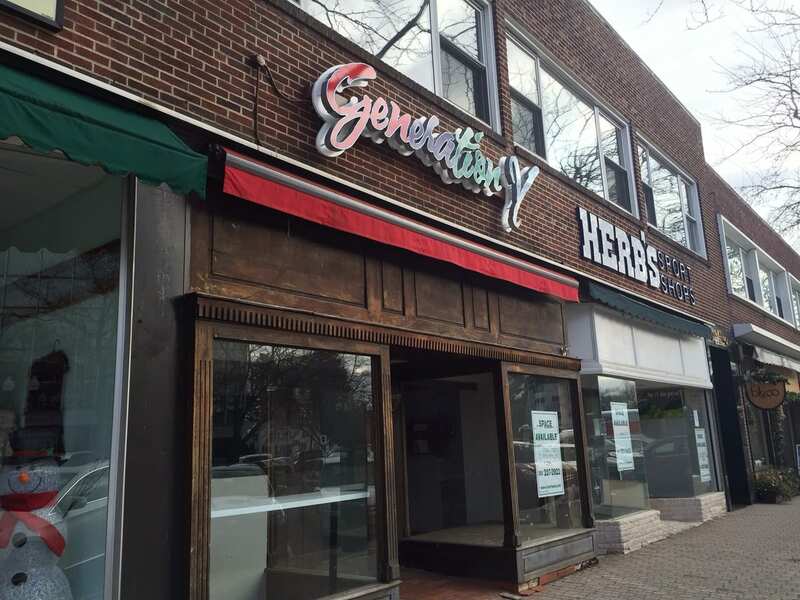 In six of West Hartford’s nine districts, the only local race with a challenger is for the 5th State Senate seat, where Farmington resident Phillip Chabot is running against incumbent Democrat Beth Bye. Democrats Derek Slap (19th State House district) and Joe Verrengia (20th State House district) are running unopposed, but campaigning has been lively in the 18th District (districts 1-3 in West Hartford), where Democrat Jillian Gilchrest, who beat 12-term incumbent Andy Fleischmann in the August primary, is running against Republican Mary Fay. 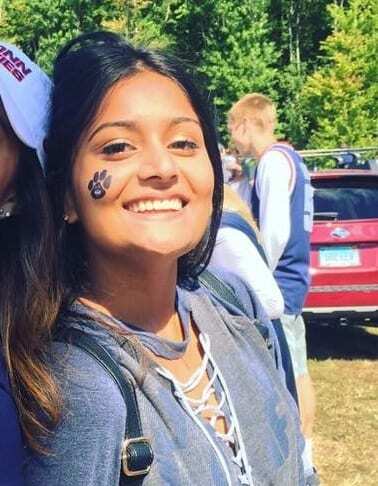 She said that people seem to be really excited about exercising their right to vote this year, and that it’s really heartening how many people, especially young people, have gotten active in the political process since the last election. 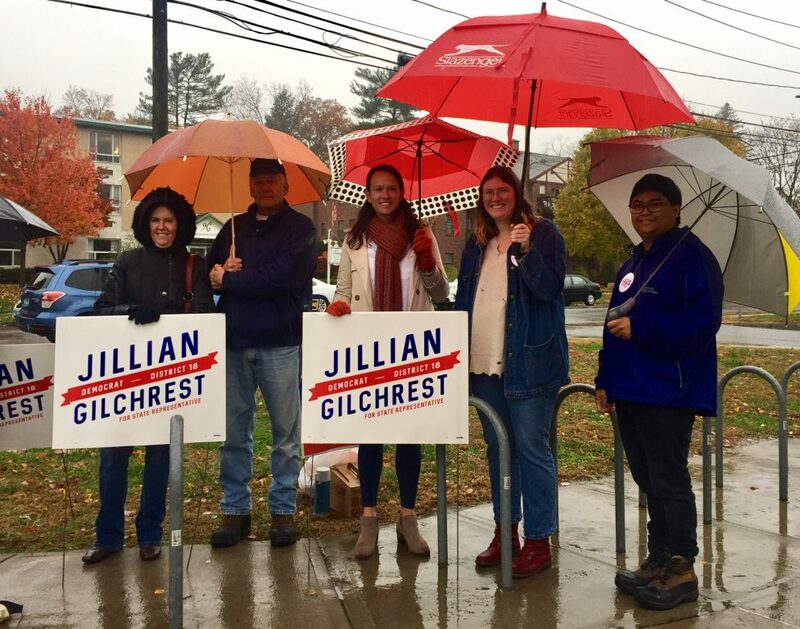 Gilchrest, who planned to spend the day going back and forth between polling places at Town Hall, King Philip, and Bristow, said she’s optimistic about her chances of victory. “I hope to represent people at the Capitol,” she said, pausing to greet a family that had brought their young children along to watch the voting process. Fay said she planned to spend most of the day at Bristow, but had supporters stationed at Town Hall and King Philip. “I feel great about the campaign, and I have tons of support” she said. Fay said she hit almost every door in the district, and thinks her message resonated with voters. “I left it all out on the field,” Fay said, and is proud of the job her campaign staff and supporters have done. She was also pleased to have the 18th District race mentioned as one of 20 to watch in the state in the Hartford Courant. 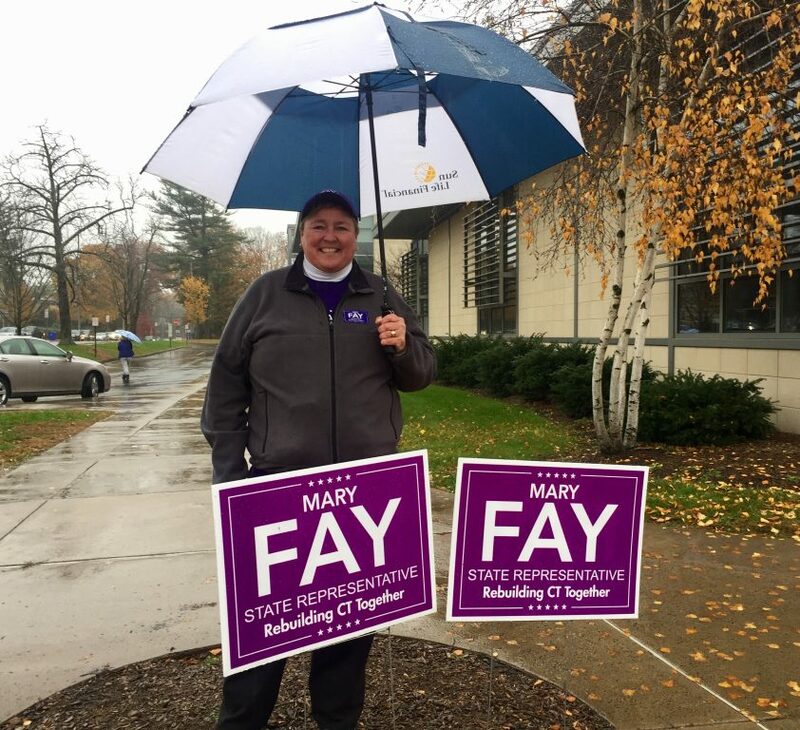 “Now it’s up to the voters,” said Fay, acknowledging the reality that Republicans are greatly outnumbered in terms of registered voters in West Hartford. Town Clerk Essie Labrot said that 3,091 absentee ballots had been issued for this year’s election, and as of Monday more than 2,700 of them had been returned and were in the process of being tallied. 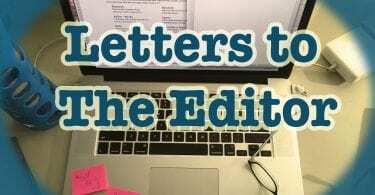 She had not yet received Tuesday’s mail, and ballots can also be dropped off at Town Hall and will be counted as long as they arrive by 8 p.m. on Tuesday. 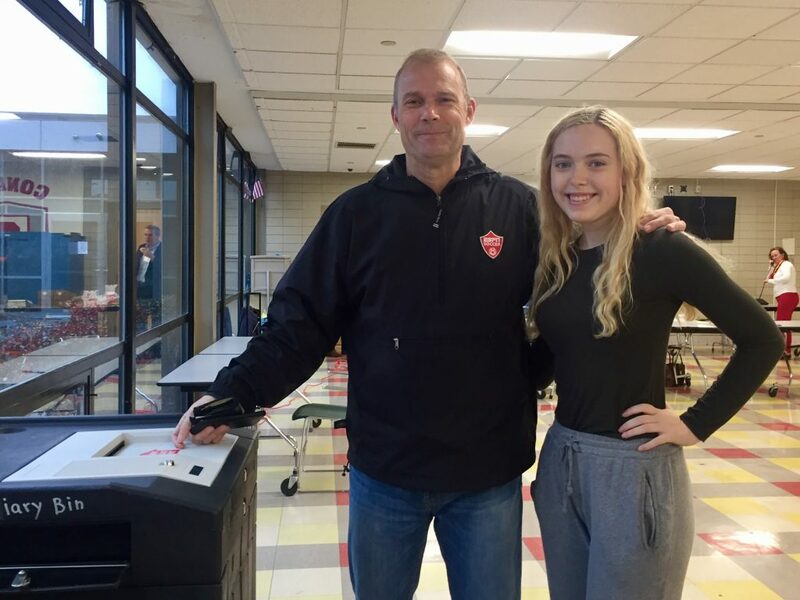 Around noon, resident Adrian Healy arrived at Conard High School to vote with his daughter, 16-year-old Zoe, accompanying him. At Bristow, Watkinson history teacher Kerry Boyle arrived to vote with a bus filled with teens. 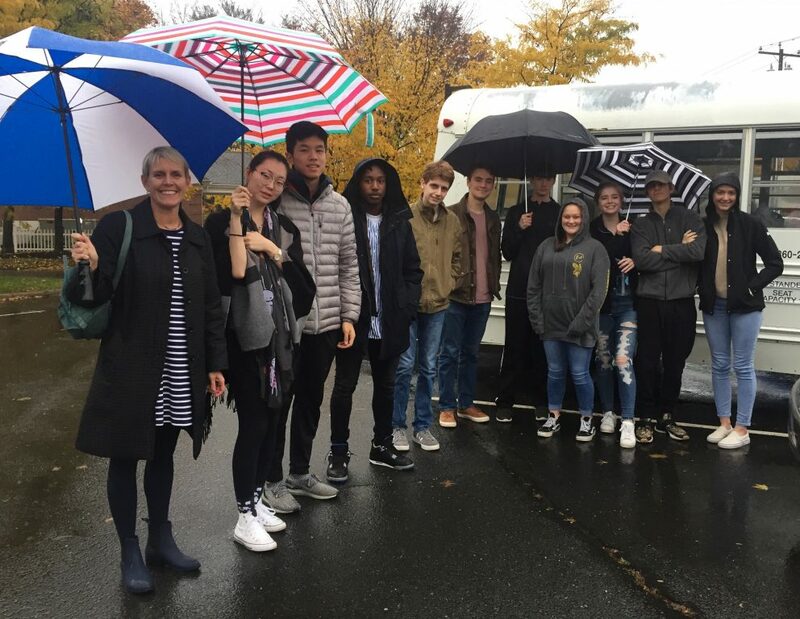 The teens weren’t voting, but Boyle said she brought her government class to watch, and to engage them in the very important process of voting. Polls will close at 8 p.m., and results should be available later tonight. Check back with We-Ha.com for the details.